Home Fitness Are Vegetarian Protein Sources Enough For An Athlete? Vegetarian protein sources are absolutely necessary for every human being, especially for athletes. But are they enough or do athletes need more? If you are an athlete and you are wondering if with the protein provided by vegetables is enough for your good performance, do not miss this post. They say that vegetarian and vegan diets can cause a protein deficit to those who practice them. This, added to the demanding nutritional needs of someone who practices sports, can mean that the vegetable protein is not enough for athletes. Proteins are molecules formed by chains of amino acids that are found throughout our body with structural function. These also act as enzymes that enhance the chemical reactions of our body, or as hormones or neurotransmitters with regulatory function. On the other hand, they also function as transport molecules, as in the case of hemoglobin, which transports oxygen to our entire body. They can also be found forming part of our immune system. In our body there is a huge variety of proteins that are formed by only 20 amino acids, of which 8 are essential. This means that our body is unable to create them by itself, so we must provide them through our diet. The essential amino acids are valine, leucine, isoleucine, phenylalanine, tryptophan, threonine, methionine and lysine. Complete protein is considered to be that which gives us all the essential amino acids. This is something that usually happens with proteins of animal origin. 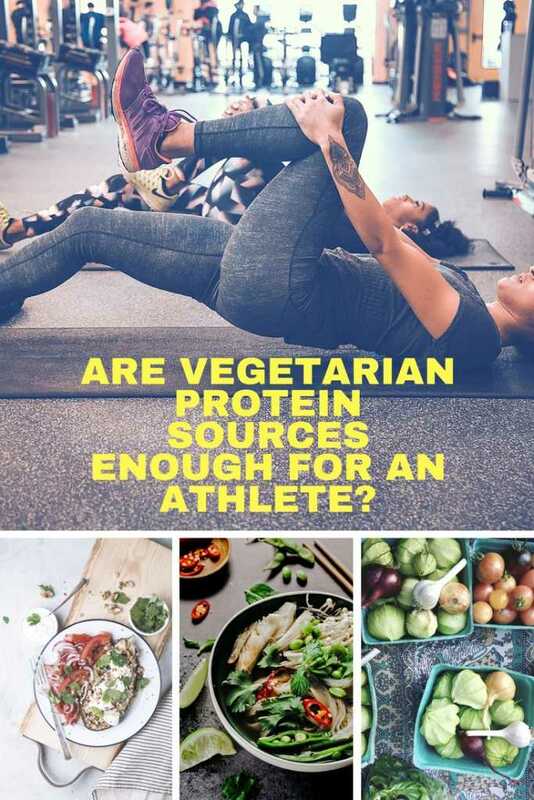 On the other hand, vegetarian protein sources are considered incomplete proteins because they are not able to give us those 8 amino acids that our body needs. For example, legumes are lacking in lysine while cereals are short of methionine. In this way, it seems evident that a vegetarian is unable to provide all the protein the athlete needs. However, the truth is that it is much easier. With just combining these foods you can get a complete protein of the same biological quality or better than animal. In the case of ovoctectic vegetarians – egg and dairy consumers – another option would be to combine the proteins that the body can obtain by means of vegetables with others present in the products derived from animals. Beyond the fact of obtaining the necessary types of proteins, we must evaluate the protein quality of the products we consume. This is based on understanding the difference between the amount of protein you put in the composition table of the product and the amount your body actually uses. Digestibility: is the percentage of protein that the body absorbs with respect to what it ingests. In general, this parameter is higher in proteins of animal origin and lower in plants. Especially if the vegetable products are rich in fiber, which hinders the action of gastric juices and enzymes in digestion. Biological value: the total percentage of amino acids that form a protein that the body retains. Foods of animal origin tend to have more essential amino acids and, therefore, have a higher biological value. Net use of proteins: is the proportion of protein that the body retain. In short, the main problem found is that, as we have said, vegetable protein has fewer essential amino acids than animal protein. This, however, is easy to solve by combining foods such as cereals and legumes throughout the day. Soy: this food is very rich in high quality vegetable protein. In addition, its derivatives, such as tofu or soy milk are perfect for preparing a large number of recipes. Seeds: especially sunflower, pumpkin and pine nuts. These contain quantities of proteins that can easily replace the meat. Nuts: nuts, pistachios or almonds are another type of products with a high content of high quality vegetable proteins. In addition, they help protect the cardiovascular system. Read more: See The Causes Of Grooves In Nails, How To Prevent Them And How To Treat Them! Cereals: Quinoa, for example, has a high protein content. The only disadvantage of these products is their lack of lysine and tryptophan. Legumes: in some, like lentils, we can find good amounts of valine and lysine. Vegetables: besides proteins, they will provide fiber, minerals and vitamins. Don’t forget to SHARE the vegetarian protein sources and their importance with your friends and family on your social networks!